Anahid Sofian studied ballet with Mary Clare Sale, formerly of the NYC Ballet, and modern dance with Bella Lewitsky and Erich Hawkins. She performed with the Richard Oliver Modern Dance Company in Los Angeles, and in New York participated in Tina Croll and James Cunningham's The Horses Mouth Greets the New Millennium at the Danspace Project of St. Mark's Church. She also studied jazz with Luigi and Afro-Cuban with Sevilla Forte. In the Sixties, Ms. Sofian's interests turned to dances of the Middle East and she is internationally recognized as one of the most versatile and innovative artists in the field. Self-trained by observing and working with the Middle Eastern dancers, musicians and communities in New York and abroad, Ms. Sofian was one of the pioneers in taking Oriental Dance out of the nightclub and onto the concert stage. 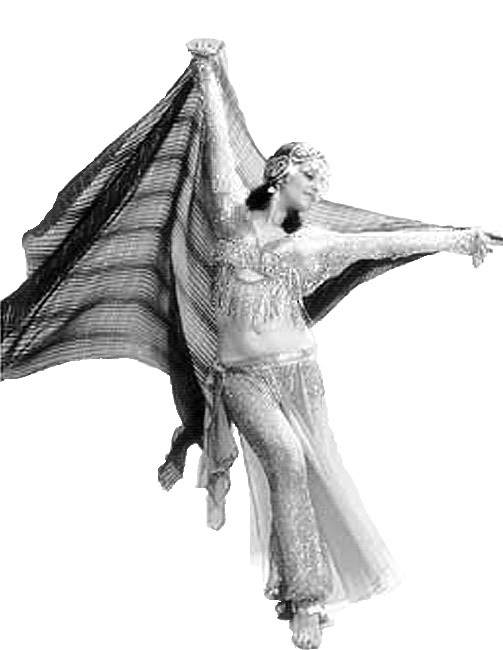 She has performed both as soloist and with her company in such mainstream venues as The Museum of Modern Art Sculpture Garden, the United Nations, the Uris Theatre on Broadway and Carnegie Hall, and was the first oriental dancer to be accepted into the New York Dance Festival at the Delacorte Theatre in Central Park . She has also been hired to curate numerous performances including the Middle Eastern Festivals held at Town Hall in New York. Ms. Sofian has been the recipient of grants from NYSCA and the NY State CAPS program and a residency at the Dance Theatre of Harlem, where she participated in a Choreography Workshop directed by Bessie Schonberg. Working with members of the DTH Workshop Ensemble for seven months, Ms. Sofian created two dances fusing ballet and oriental dance. One piece for six dancers was based on Middle Eastern rhythms; a second dance, choreographed to a classical Arabic song performed on piano and kanoun (a zither-like oriental instrument) was a balletic duet for two girls utilizing veils. Both were included at a DTH Open House performance at Aaron Davis Hall, CUNY. The CAPS grant enabled special study of Armenian dance. Of Armenian descent, Ms. Sofian grew up learning Armenian dances and listening to Middle Eastern music. Her lecture-demonstration, "Solo Dance of Armenian Women: A Comparative Study," has been featured at the Museum of Natural History and the Anthropology Museum of the People of New York at Queens College. Ms. Sofian established her studio in New York in 1972, where she offers instruction on regional styles, choreography, structured improvisation, costume making, and music and rhythms for the dance. Her classes are structured after classical dance and include a thorough warm-up designed for the needs of Middle Eastern dancers. The curriculum includes levels from Basic Beginner to Professional, special topics workshops, and an annual week-long intensive geared to professional dancers and teachers. Ms. Sofian also teaches master classes and workshops for the Middle Eastern Dance community throughout the U.S. and Brazil. At the college level, she has taught at Hunter College, Sara Laurence College, NYU and at The New School University in New York. Ms. Sofian's current project at her studio is the Atelier Orientale: Dance and Performing Arts of the Middle East series, which she launched with two performances in 2011, on June 19 and November 6 (see Events). Her aim with this series is to provide artists with an opportunity to stretch and present new works in a relaxed, salon atmosphere, and expose audiences to high quality works that can range from the traditional to the contemporary to the experimental. All programs will be followed with a meet-the-artist reception to encourage a cross-cultural dialogue and understanding. These two first events focused on dance. However, future programs will be expanded to include music, literature, film/video and visual arts. The Atelier is a project of *The Field. Donations can be made directly through Ms. Sofian or online through The Field. Just click on the link below, choose Anahid Sofian from the list of Sponsored Artists and follow instructions. *The fiscal sponsor for this project is The Field, a non-profit tax-exempt organization serving the New York performing arts community. Contributions made to The Field and earmarked for the Anahid Sofian project are tax deductible to the extent allowed by law. For more information about The Field contact: The Field, 161 Sixth Avenue, 14th Floor, New York, NY 10013, 212-691-6969, fax: 212-255-2053, www.thefield.org. A copy of The Field’s latest annual report may be obtained from The Field or from the Office of the Attorney General, Charities Bureau, 120 Broadway, New York, NY 10271. If creating spellbinding beauty requires genius, then Sofian is clearly a genius.